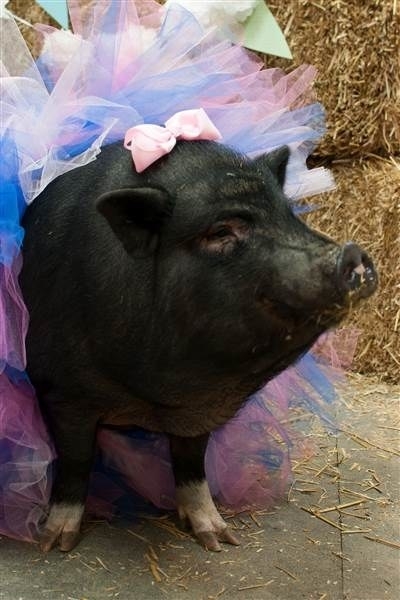 A new pig mommy named Sophie proved she is the ultimate diva by posing for a simply perfect maternity photo shoot. 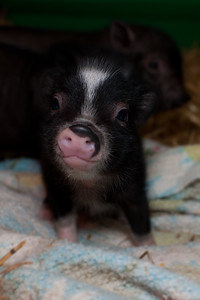 Sophie currently lives at the Happy Trails Farm Animal Sanctuary. The facility "rehabs and re-homes animals that are victims of abuse, neglect, or abandonment," a spokesperson told BuzzFeed News. 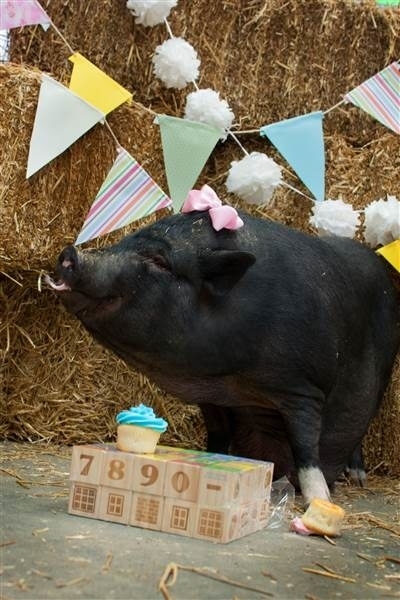 The sanctuary contacted photographer Jessica Cvelbar of Enjoy the Ride Photography for the pig’s maternity shoot earlier this month, and she happily said yes. Or the tutu. "She was pretty happy," she said. Two days after the photoshoot, Sophie gave birth. 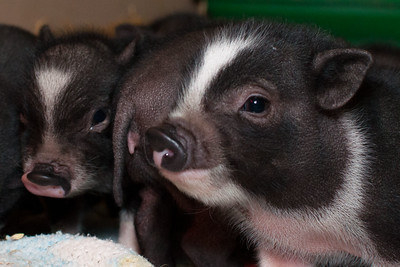 Three of the piglets have been named: Jazzy, Simon, and Eva. 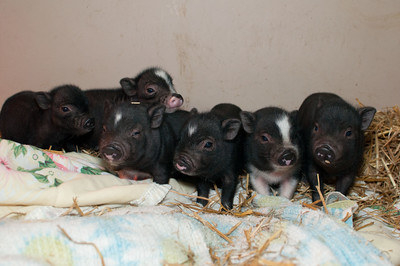 The non-profit is currently searching for "forever homes" for the once-abandoned Sophie and her six little piglets. Until then, the Ohio sanctuary will take care of the family. 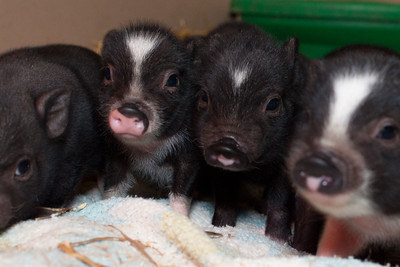 "Sophie's very happy and very protective of her babies," the spokesperson said.